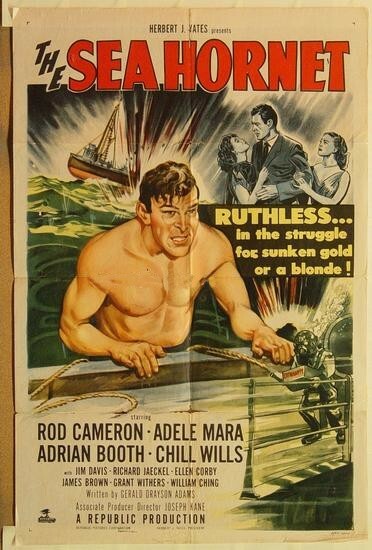 Rod Cameron stars as deep-sea diver Gunner McNeil. When his partner (James Brown) drowns under mysterious circumstances, McNeil investigates, all the while carrying out a salvage assignment for the lovely Suntan Radford (Adele Mara). The Sea Hornet is a vessel which was sunk during wartime while carrying a fortune in gold. Now someone is willing to commit murder to claim the treasure for his or her own.